Snore | Your Health. Your Lifestyle. It’s estimated about 40 million people snore. 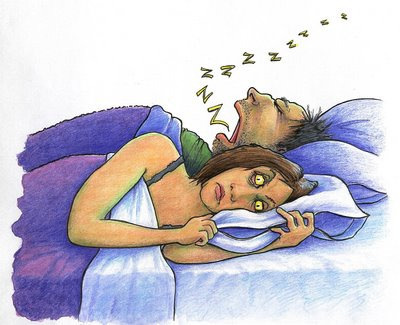 Snoring can mean sleepless nights for the other person and is responsible for landing many married couples in separate rooms. A natural remedy may mean quieter nights. Sue and Bob have been happily married for 27 years. But one cause of marital unrest? Snoring. But hold on. It’s not just Bob. Even though they laugh about it, they were frustrated and sleepless — enough to try something new — Snorestop. Naturopath Kenneth Rifkin developed the homeopathic remedy. The pills combine six plant extracts. They’re designed to shrink mucous membranes in the nose and tighten tissues that often cause the noise. A clinical study showed success in eight out of 10 patients. It’s not a guarantee, but again, nothing is a guarantee. And it’s certainly not recommended for patients with sleep apnea. There have been no reported side effects, and people like Bob and Sue say it works. The only time it doesn’t, they say, is when you forget to take it. Snorestop is available in drug stores around the country. A one month supply runs about six dollars. Dr. Rifkin says eventually you will be able to stop taking it and still have the same effect.